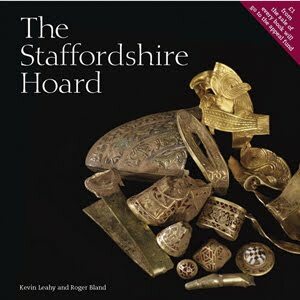 Yesterday, Paul Lay commented on the release of a small illustrated book on the Staffordshire Hoard written by Kevin Leahy and Roger Bland. The book is due to be published by the British Museum Press next week, on November 30th. The British Museum is also hosting a series of lectures about the Staffordshire Hoard. On Thursday November 26th, Dr Kevin Leahy, National Adviser for the Portable Antiquities Scheme, will give his first impressions of cataloguing the Staffordshire find. On December 10th, co-author of the book and Head of Portable Antiquities and Treasure at the British Museum, Roger Bland, will tell the story of how the hoard was found, the work that has been carried out on the hoard so far, and what will happen to it next. Just I land your pages and I found more important information which is more useful to my visitor. By that my reader can get more benefit from your link. If you give permission to add your link in my page, I will put up soon. On favor if you give link to me, it would be more useful to me and your visitor. I hope my news blog would satisfy your criteria to link back me.